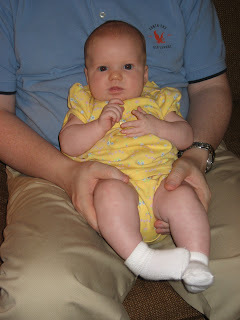 Reese's Pieces: 4 Generations & Bath Fun! 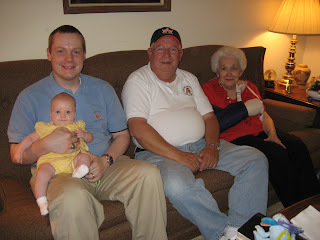 4 Generations of Colliers (L to R) Reese: age 10 weeks, Jason: age 32 Years, Tom: age 60, Elizabeth: age 85. I also experienced my 1st bubble bath recently,..it was fun!